Online travel agency (OTA) Yatra will be listed on NASDAQ as a result of its merger with special purpose acquisition firm Terrapin 3 Acquisition Corp (TRTL). NASDAQ listed TRTL will buy the Indian OTA firm in a multi-phased transaction, valuing it at $218 Mn. As per the terms of the proposed transaction, it is estimated that the current shareholders of Yatra will continue to own at least 35% of the issued and outstanding shares in the combined company. The first $100 Mn of cash will be allocated entirely to the combined company’s balance sheet and to pay transaction expenses. Any amount greater than $100 Mn available from TRTL will then be allocated 80% to current Yatra shareholders and 20% as cash to the combined company’s balance sheet. However, cash payments to current Yatra shareholders will be limited to $80 Mn. Also, existing shareholders of Yatra may receive additional consideration of up to $35 Mn provided they achieve certain financial objectives during the 18 months after closing of the deal. 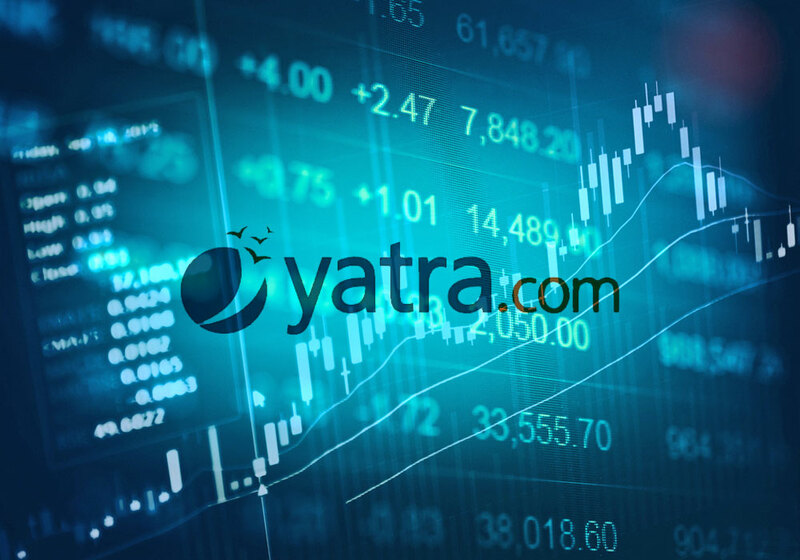 Consequently, Yatra intends to be listed on the NASDAQ stock market under the symbol “YTRA” following completion of the transaction. The combined company will continue to be led by Yatra’s management team under the leadership of chief executive and co-founder Dhruv Shringi post the merger. Completion of the transaction, which is expected by October 2016, is subject to approval by TRTL stockholders and other customary closing conditions. Founded in 2006, Yatra counts Valiant Capital Management, Norwest Venture Partners, as well as Reliance Venture Asset Management Ltd, Web18 of TV18 Group and Intel Capital among its backers. During the fiscal year ended March 2016, Yatra customers booked more than 2.8 Mn air travel reservations and hotel stays with total transaction value worth more than $900 Mn, an increase of 25% from the prior year. Meanwhile, TRTL, which is a special purpose acquisition company formed for the purpose of effecting a merger, acquisition, or similar business combination, had raised $212.75 Mn in its IPO in July 2014. Deutsche Bank Securities Inc. is acting as TRTL’s capital markets advisor. Greenberg Traurig, LLP and Ellenoff Grossman & Schole LLP are representing TRTL. Goodwin Procter LLP is representing Yatra. This deal marks the third big deal in the online travel space in the country. In February, Ibibo secured an investment of $250 Mn from Naspers, the South African internet and media company, and Chinese internet firm Tencent. Similarly, rival MakeMyTrip, which is already listed on NASDAQ, had raised an investment of $180 Mn from Chinese travel major Ctrip in January through convertible bonds. Yatra which claims to have 4 Mn customers in India was earlier rumoured to be in talks with mcommerce platform Paytm for a stake sale. This year, in January, Yatra acqui-hired Mumbai-based Travel-logs, which specialises in organising customised city walks and private tours. Last month, it acquired mGaadi, a Bangalore-based auto rickshaw aggregator. The terms of the deal are undisclosed. Welcome to Flash Feed, your essential source for breaking news and innovation from around the web – bite-sized and updated all day. Passion for writing and interest in the start-up space brings Shweta to Inc.42. She has prior experience as a Research Analyst in the venture capital/ private equity space and the auto industry. Fiction writing is her other forte and her first book titled One Hundred Days published by Tara Press debuted in 2014.